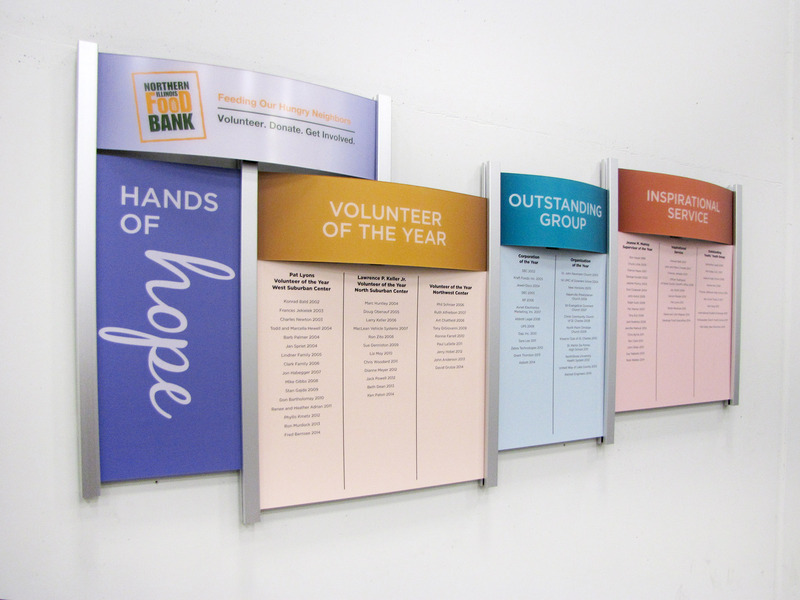 The Food Bank opened it’s new facility in 2010 thanks to the generosity of its donors. 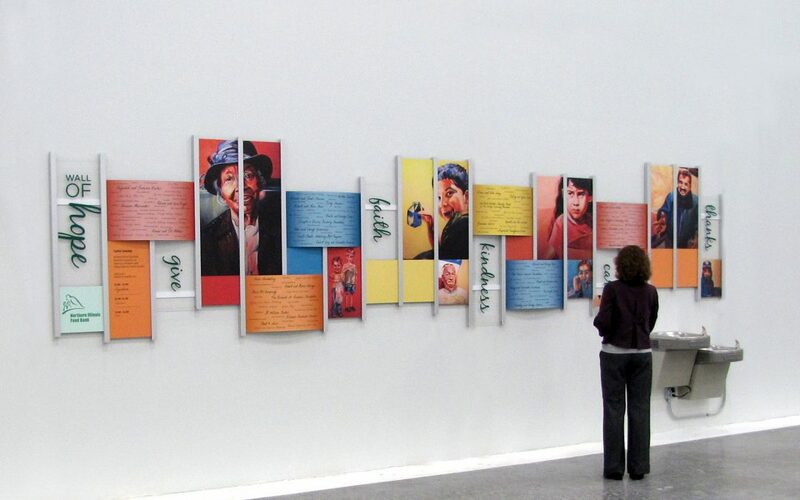 In recognition, 4 donor walls were constructed for the different campaigns. The capital campaign donor wall was constructed by rolling aluminum into an abstract mosaic that graces the large, 2-story lobby. 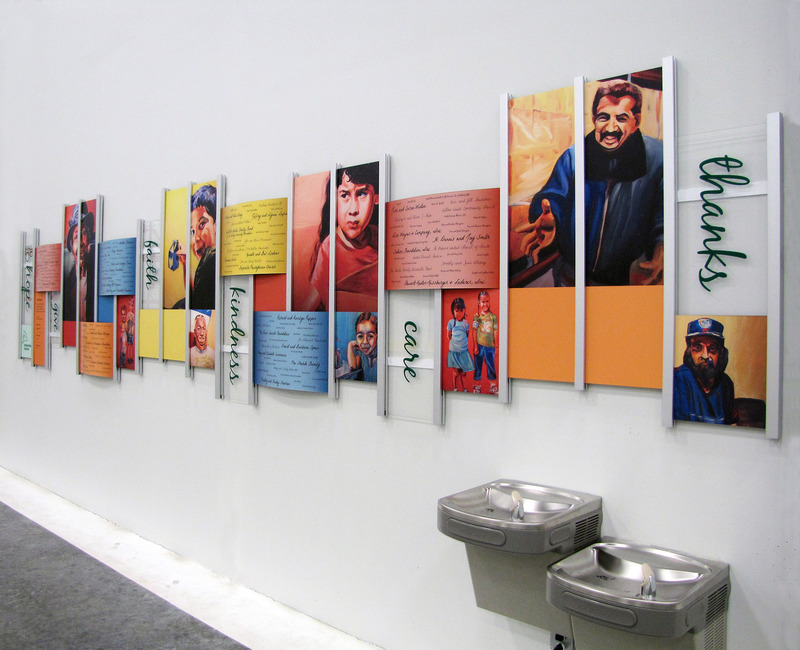 Two of the 3 other donor walls needed to be easily updated and the Rail Wall System was the perfect choice. The Rail Wall System donor walls are easily updated with new panels that slide in and out and the structure coordinates with the modern, industrial architecture of the space. 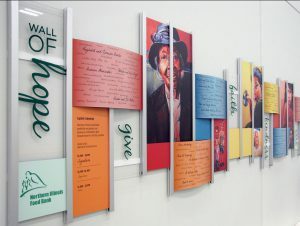 The designs were developed to coordinate with the campaigns and differentiate between the annual giving campaigns and the finite campaign donor wall. The Hands of Hope donor wall is inspiring. Using a local artists renderings and the donors signatures the donor wall catches attention in the busy packing area of the facility. With the continued success of the facility, the donations keep flowing in and another Rail Wall System donor wall was added. The design reflects the 2 other annual donor walls. 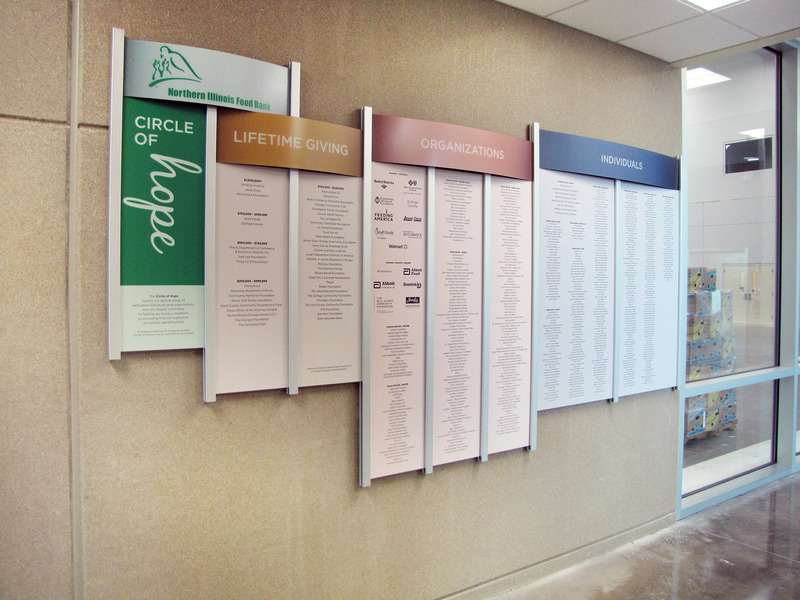 The headers or jumping panels are the different giving levels, while the panels are lists of the donors and corporate logos. Each year new donors are added to the lists and new panels are created to replace the old panels. Within minutes of hanging the new donor recognition display, donors were snapping photos. Presentations is thrilled to be part of such an amazing place.